The latest models of iPhones are a bit complicated for some people. We know that the latest iOS version has brought a lot of new features to iPhone but some of the simple features of iPhone have been disappeared. 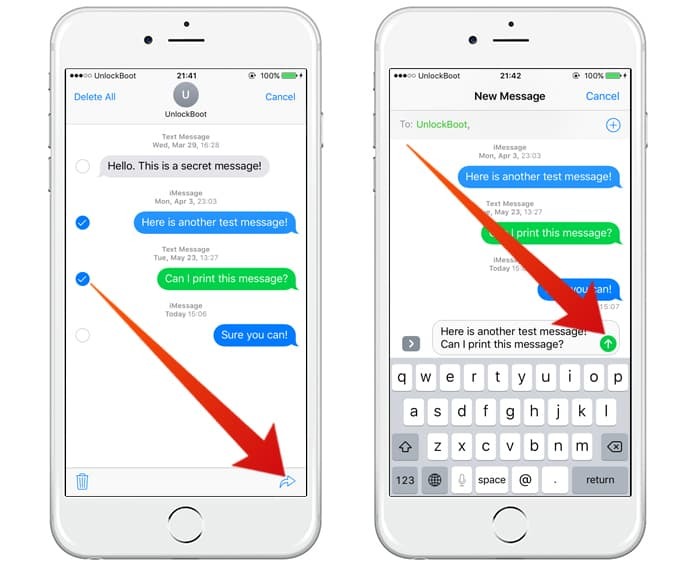 Just after the release of iOS 7 and higher, a lot of people searched for how to forward text messages on iPhone, on the new version of iOS. Well, this is a very simple and almost every Apple user must know this. Although it is a common and simple feature sometimes we cannot find the proper way to forward text messages on iPhone. The people who don’t use the forward feature too much don’t need this and they probably won’t find out how to forward a message. On the other hand, a lot of people are there who regularly use the forward text message option on their mobile phones. After the new releases, what if they cannot find the forward text feature. Perhaps, it would be a very annoying situation. If you are iPhone user and want to know about the forward text feature in your new iPhone, don’t worry about it. In this article, we will describe how you can easily do it. 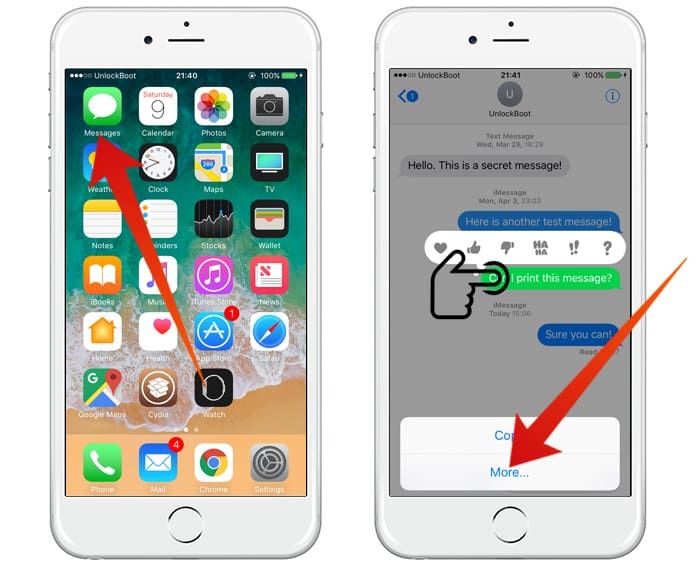 This method is very simple and you can use this to forward text messages including iMessages on your iPhone. If you are using the older versions of iOS, have a look at the forward process below. Step 1: Open a conversation on your iPhone and click on the Edit button which is located on the top right corner. Step 2: Now little circles will appear on the left side of every message. You can click on every circle to select that message. These circles let you select as many messages as you want to forward. Step 3: In the bottom, you will see two different options including Delete and Forward. Click on the Forward button. Step 4: Now the message or messages will be copied to the text board on a new screen. You can type a number on the upper bar or just simply click on the + sign to add contacts to the message bar. Step 5: Eventually, click on the Send button and it will send the message to your selected contacts. The above method is for old iOS version. Now come to the method for the latest version including iOS 7 and higher. Step 1: Open a conversation on your iPhone and touch and hold the message you want to forward. Step 2: A bar will appear with options Copy and More. Click on More option. Step 3: Now on the left side of every message, you can click on the circle to select the message. 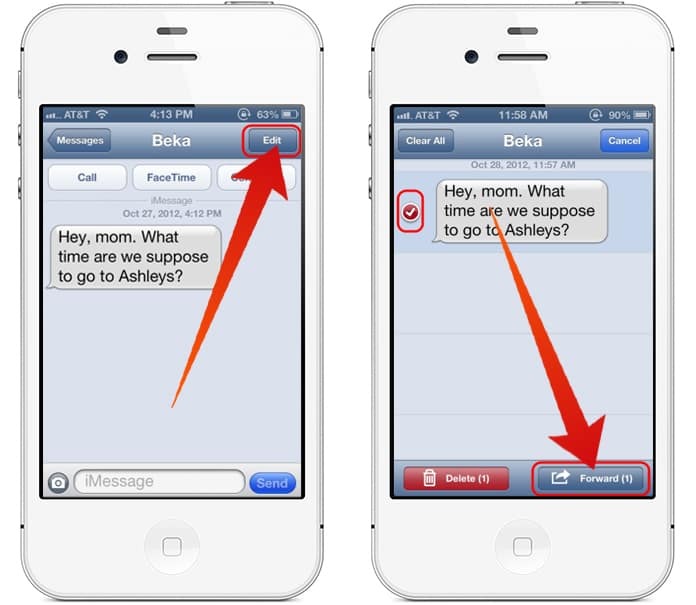 Step 4: In the bottom right corner, you will see the forward icon which can be used to forward text messages. Step 5: Now finally add contacts to the top bar and click on the Send button. By following these methods, you can simply forward text messages on iPhone with any iOS version. 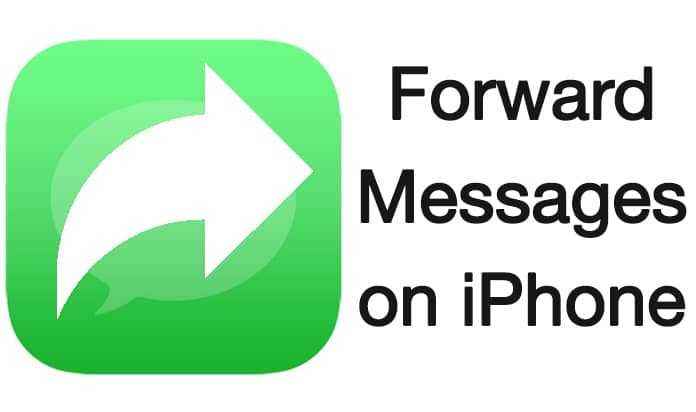 Keep in mind that you can also forward iMessages using above stated methods.